It’s not just self-driving cars that are revolutionising the way we live – homes are becoming smarter too. 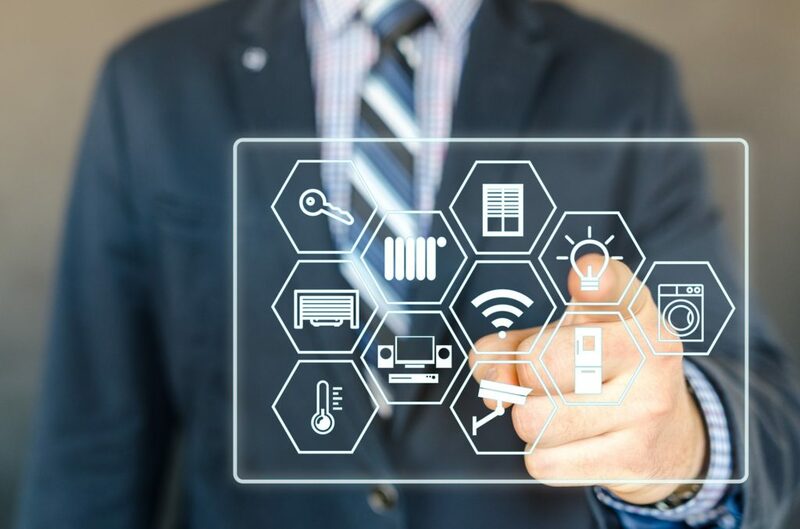 Advances in artificial intelligence and the Internet of Things (IoT) now allow homeowners to connect their household appliances to the internet and control them with their smartphones. However, it seems that renters are shut out of the home automation experience. When finding a property to rent, their lease usually includes a provision that forbids them from making alterations or improvements without the landlord’s permission. But that doesn’t mean they can’t create a high-tech living environment. In collaboration with Private Property, we’ve compiled a guide for building a smart apartment that doesn’t require rewiring or permanent installations. Smart TVs open up your viewing, with a number of features not available on a standard LED TV. You can surf the web, stream movies and shows, watch satellite TV without a decoder, and play games without a console. The latest smart TVs even have voice activation capabilities that let you switch channels and search for programmes. 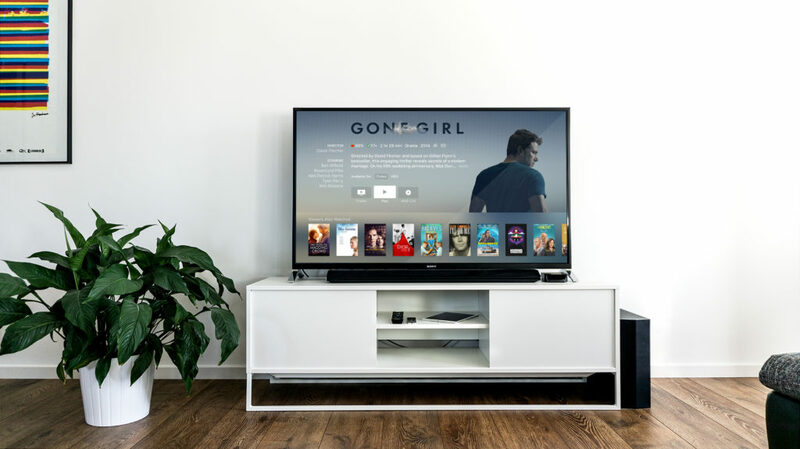 All you need is an internet connection and a decent broadband speed, and you’re ready to turn the corner of your living room into an entertainment hub. Smart fridges have changed the way we store food in so many different ways. From the ability to tell you when you’re running low on milk and when food has expired, to looking up recipes and reading the steps while you prepare meals, these advanced iceboxes are now becoming multifunctional kitchen appliances–that even allow you to create shopping lists, post messages to others, share photos, access schedules, and check the weather and time using voice control. We may not have those droid housekeepers from science fiction films to clean our homes just yet, but we can now get robot vacuum cleaners (like the iRobot Roomba 690 or Samsung POWERbot R7070) to get the job done. They can be controlled by a remote or your smartphone and, once activated, these bots get a rather tedious household chore done even when you’re not around. They’re effective at removing pet hair, crumbs and dust from the floor, even around obstructions such as chair legs and floor thresholds, and can easily navigate your apartment thanks to their memory capabilities. When done, they direct themselves to a charging station to power up for the next cleaning session. Whether you want to create thematic lighting for watching a movie or simply want to highlight your room’s special features, you’ll get endless lighting possibilities with a Phillips Hue. With millions of colours to choose from, these light bulbs use your Wifi connection to control the tone, contrast and colours to create any lighting effect you want. They can be screwed into standard lamps, use 80% less electricity than a traditional bulb, and can be managed, even remotely, with the Philips Hue app on your smartphone. Being able to control your devices’ energy consumption is one of the best ways to bring down your bills. A smart plug is a handy device to have at your disposal when upgrading your apartment. Simply insert it into a wall outlet, connect it to your Wifi and smartphone, and you’re ready to interact with the appliances you already have. If you forgot to switch off the iron, a smart plug is designed to turn the appliance off when you’re not at home. The plug has a built-in thermal sensor that can detect an overheating device and automatically switch it off. It also incorporates scheduling, allowing you to set times for devices to turn on and off, such as lights to go on at sunset and off at sunrise. Are noisy neighbours driving you nuts? Invest in the Sense Sleep System, which helps soundproof your bedroom. The device produces soothing ambient sound that not only fades out background noise but helps you fall asleep on quiet evenings. Add to that its smart alarm and sleep monitor, both of which help improve your sleep, and you can turn your bedroom into a sleeping sanctuary where you’ll wake up well rested. For some homeowners, being able to control their dwelling from their mobile phone is the ultimate dream. Renters may need to consider how any structural changes required for new technology might be viewed by their landlords. Fortunately, you don’t have to drill into the walls to enjoy benefits from the IoTs in your apartment. Today, you can get an excellent smart home system up and running that will not only enhance the overall look of the interior but is designed for functionality around the home.